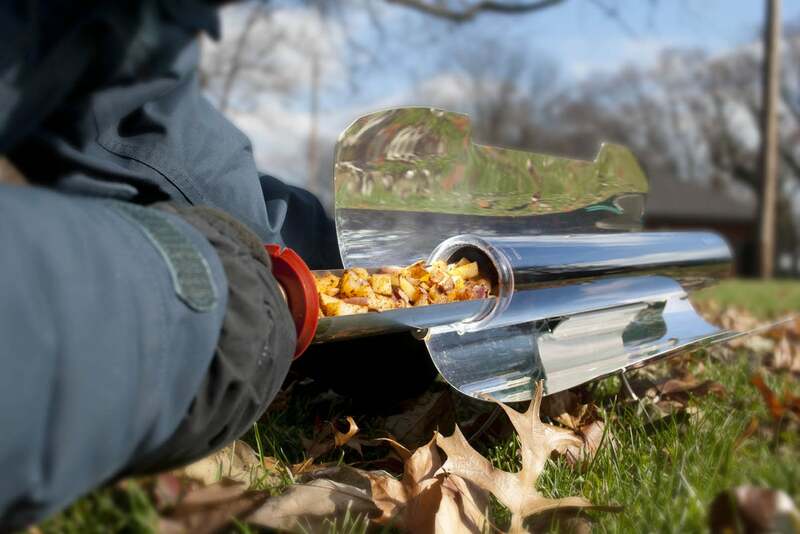 The GoSun oven isn't particularly practical, but it could make sense for certain camping scenarios. If you’ve ever asked yourself, “Hey, what’s the most impractical and bizarre way to cook dinner?” then good news: The GoSun solar cooking solution is here. 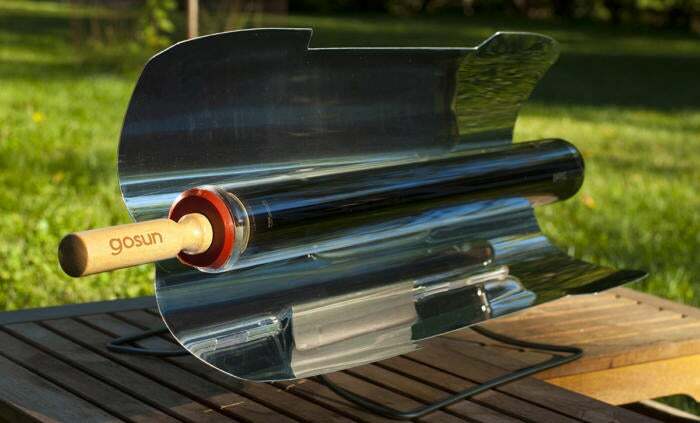 GoSun makes a wide range of solar ovens, and the GoSun Sport is billed as its fastest solar cooking solution. Portable and lightweight at 7.5 pounds, it’s specifically designed for camping and other on-the-go activities. The concept is pretty straightforward. The device arrives as a 2-foot-long silver clamshell that unfolds to reveal two parabolic mirrors aimed at a glass vacuum tube nestled between them. A long, cylindrical tray, cut open on the top, slides into this hollow tube. When the sun comes out, you use the adjustable legs to aim the GoSun Sport roughly in the sun’s direction. All of that solar energy gets directed at the vacuum tube (and the tray inside it), which makes the assembly heat up—as high as 550°F according to GoSun. If you fill the tray with delectable morsels of food, well, you’re cooking with nothing but the sun. Neat idea, but can it possibly work? The answer is a highly qualified yes. The biggest challenge with the GoSun Sport should be blatantly obvious: It has to be at least a little sunny for the thing to actually work. A solid week of rain kept my testing on hold until I finally got a couple of days of off-and-on sun. GoSun says the Sport will work on overcast days—it just won’t get as hot or cook as fast. I ended up testing in both bright sunlight and under partly cloudy skies. The second challenge is picking something compatible with the GoSun’s quirky cooking vessel. While the metal tray in which you cook is two feet long, it has a diameter of only two inches. This means you need to cook stuff that’s long and narrow, or that can be cut up to fit in such cramped quarters. As such, the GoSun is tailor-made for one camp-out classic: hot dogs. The company says you can fit 12 “standard” dogs in the cooker, but this is a tight fit. With more robust franks, you’ll cap out at three or four. Sure enough, my hot dogs cooked, becoming plump and juicy and reaching a toasty 140 degrees in about 45 minutes. Next, I tried various vegetables. While the oven didn’t deliver anything close to a classic, charred crust (think oven, not stovetop), it did cook everything through, no matter what the sun conditions were. Larger items (like cut up potatoes) cooked through in an hour or more. The results are nothing you’ll want to present to Gordon Ramsay for judgment, but for camping conditions where expectations are low, it works well enough. If you’re willing to wait. And bring salt. The final challenge with the GoSun Sport is simply using the thing. The company suggests lining the cooking tray with foil to minimize mess, but this is a fool’s errand to the point of near impossibility. The simple mechanics of tin foil just don’t translate to the lining task. And using the long cooking tray presents its own difficulties, as it’s awkward to manipulate, particularly when it’s piping hot. At one point, while trying to juggle a plate and a giant pipe full of hot food, I managed to spill everything in the tray on the ground. GoSun posits that if you’re creative, you can cook nearly anything in the device, from frozen burritos to muffins. GoSun even offers silicone baking pans that fit right into the Sport to make the latter task easy. Talk about roughing it! Too lazy to build a fire? 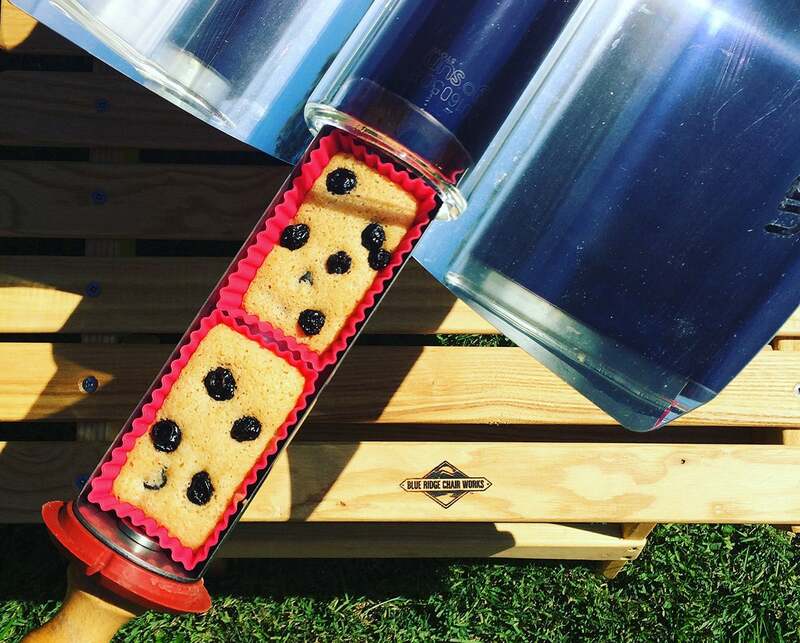 GoSun Sport uses solar power to cook—slowly—anything you can squeeze into a two-inch-wide tube. As cooking goes, this is as “green” as it gets. Folds up into a lightweight package (though probably not light enough for backpacking). Feeling of contentment from cooking with nothing but the sun’s rays. Awkward to handle—and it's a cooking tray, mind you. Not designed for liquids (or boiling water).